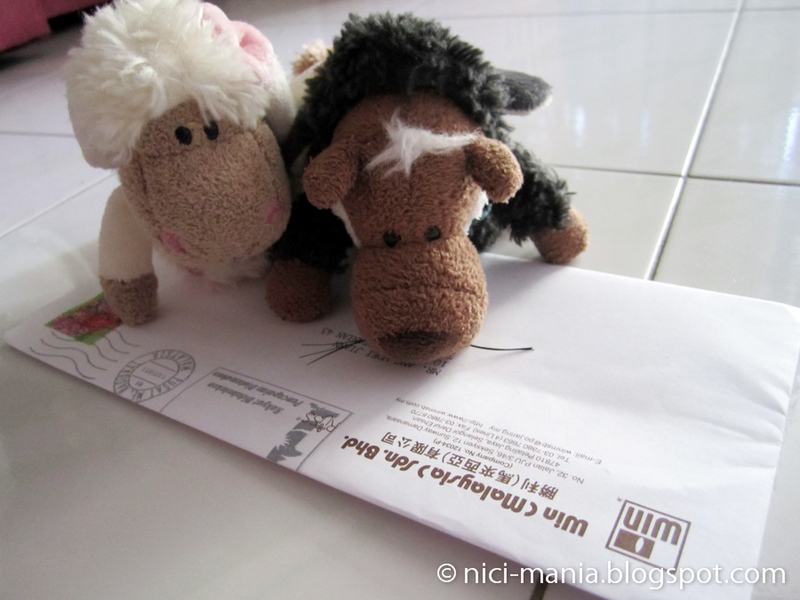 NICI-Mania got a surprise mail from NICI Malaysia at our postbox this week! 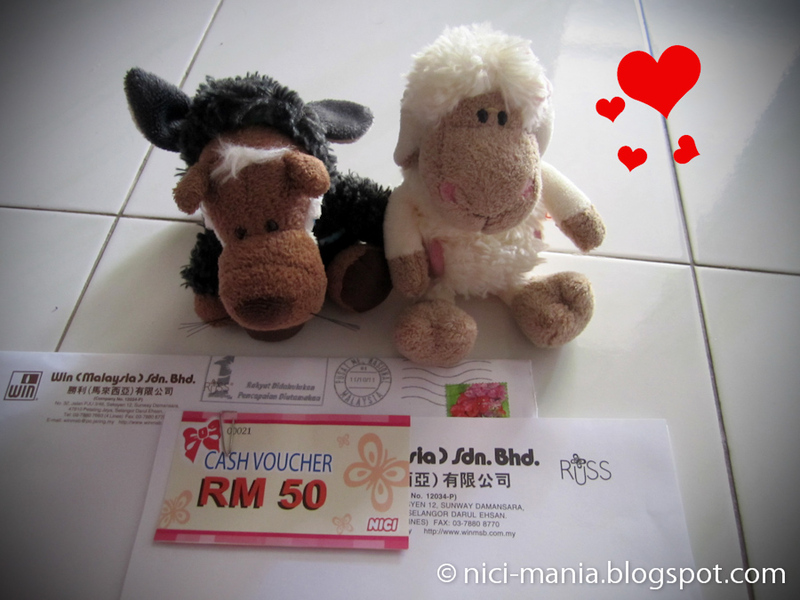 Win Malaysia is the official dealer for NICI plush in Malaysia and the owner of NICI shop in 1Utama. 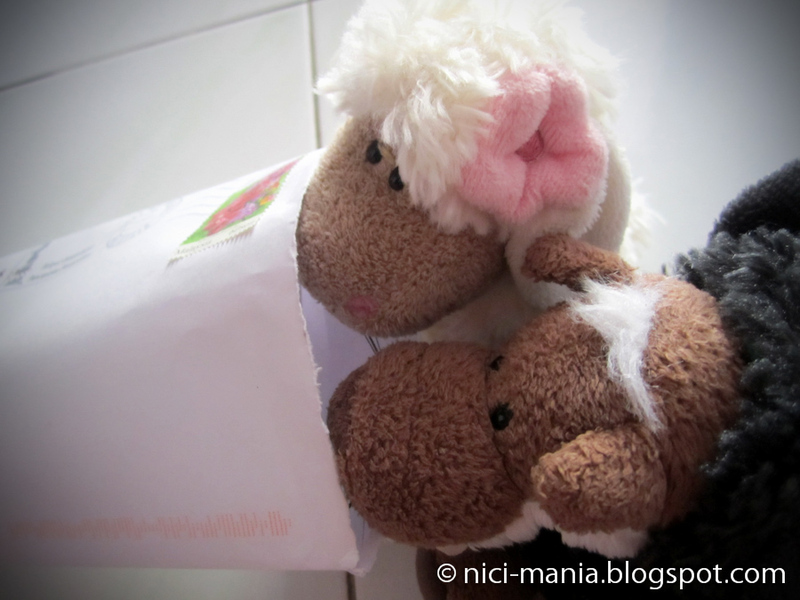 Hugo Wolf and Jolly Rosa are very excited to see whats inside the mail! 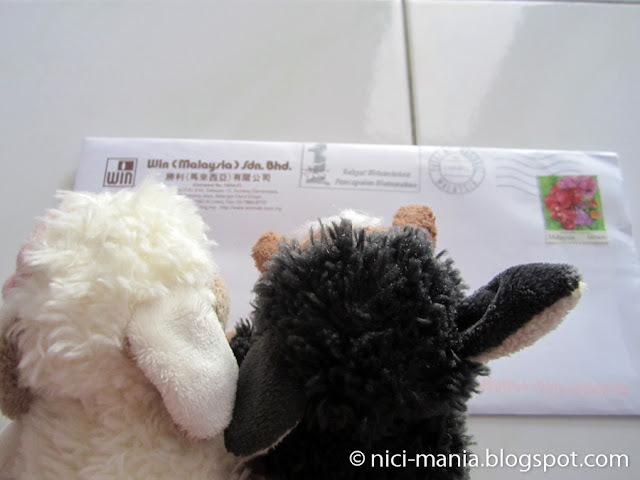 Take care ya! Get well soon. Too bad you can not go visit the store. Get well!!! 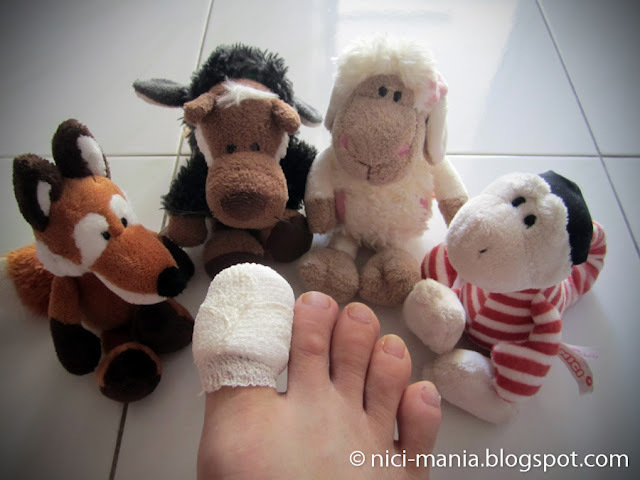 Me and my flock wish you all the best with your toe. It can be quite an inconvenience, hope you're not in too much pain. But you can ease the pain some by the voucher, congrats on that! Do you know already what plush you're gonna buy? Ouch! We hope your toe feels better! Luckily you have some nice friends to keep you company!